Martha and Mary: Martha means "Lady"; Mary means "Bitter"
Martha and Mary lived with their brother Lazarus in Bethany, a small village about two miles from Jerusalem. Martha was probably the elder of the sisters and an active worker, while Mary appears to have been more contemplative. 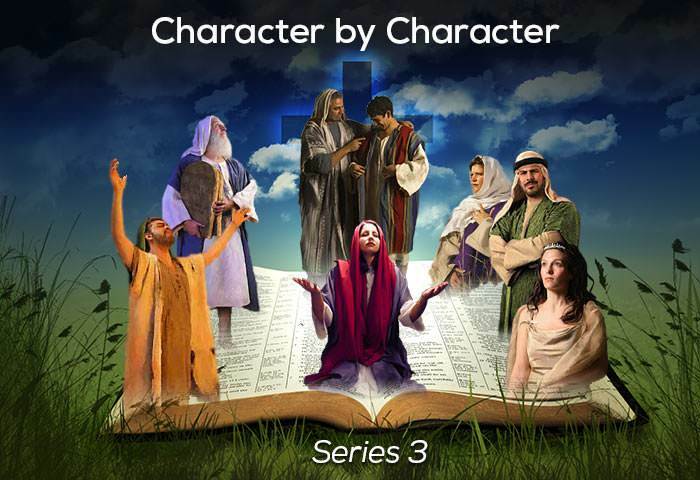 Both were devout Jewesses and, together with their brother Lazarus, had a great interest in Jesus’ ministry. 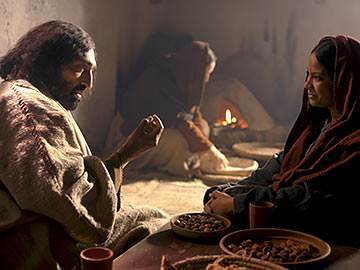 When visiting Jerusalem, as He frequently did, Christ must have greatly valued the hospitality which was always available to Him in the home of Martha, Mary and Lazarus. He who said, “The Son of Man has no place to lay his head” (Matt. 8:20, NIV), would, no doubt, have been deeply grateful for the hospitality of this home in Bethany. Hospitality has been defined as “the art of making people want to stay without interfering with their departure”. In the light of what you have read today, ask yourself these questions: Is my home a hospitable place? Am I a hospitable person? If not, why not? The little village of Bethany, positioned as it is on the eastern side of the Mount of Olives, took on a special significance in Bible days. There were a number of reasons for this. Firstly, it was adjacent to Jerusalem and provided an excellent retreat from the hustle and bustle of that busy city. Secondly, it was the first stopping place for travellers on the road to Jericho. Thirdly, being flanked by the Mount of Olives, it was an attractive place to visit. Its greatest significance, of course, comes from its association with Christ, and to this very day, thousands of travellers and pilgrims stop at Bethany to visit the traditional sites on their way to Jericho and the Dead Sea. Have you ever considered how places, things and people become special, not because of what they are or contain in themselves, but by reason of their association with Christ? Jesus makes special everything He touches—including you. 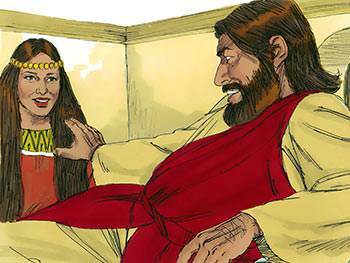 Although Mary and Martha were sisters, they were quite the opposite in temperament. Mary had a reflective personality while Martha appears to have been an energetic, practical type of person. Mary would have revelled in the visits of Jesus, and no doubt would have listened to His words with great interest and concentration. Such was the power and wisdom contained in the words of the Master, that Mary delighted to sit at His feet and drink in the truth that He expounded so simply, yet so effectively. As Mary’s spiritual life deepened under the teaching of Jesus, she became one of His most devoted followers, whose love for her Lord is widely discussed and constantly praised. What kind of temperament do you have? Are you an extrovert like Martha, or an introvert like Mary? Whatever your temperament, one thing is sure—like Mary, you need daily to ‘sit at Jesus’ feet’ if your soul is to be fed and your spiritual life developed. 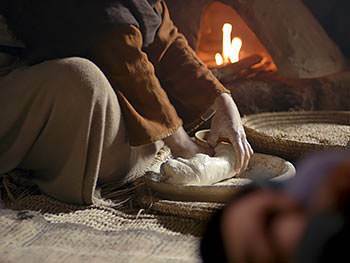 Martha is so preoccupied with the task of preparing a lavish meal for Jesus—the honoured guest—that she does not know where to turn. The sight of Mary sitting and listening to Jesus and ignoring the needs of the kitchen drives her to the point of distraction. 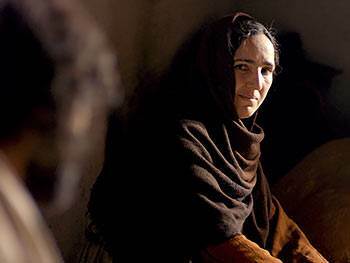 Angrily, she reproaches Jesus for permitting what she feels is an unjust situation to continue, and hotly demands that He should tell Mary to get up and help her prepare and serve the meal. 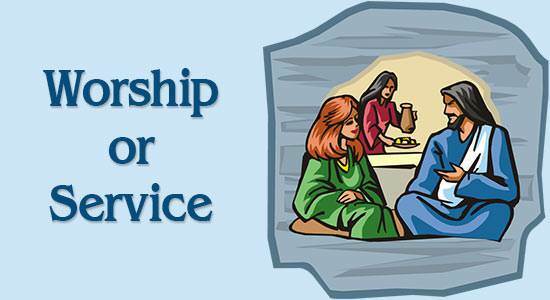 Jesus gently refuses to comply with her request, instead commending Mary for her devotion—making plain by His statement that He values spiritual fellowship much more than physical nourishment. Ever heard the term ‘workaholic’? This is someone who is addicted to activity and work. Martha was probably such a person—she got her self-worth from what she did, rather than who she was. From where do you get your self-worth? From your inner being, or from your outer activity? While drinking in the gracious words He said. To minister and give the Master joy. And wait upon Him while He sat at meat! Or seek His feet, a silent worshipper. 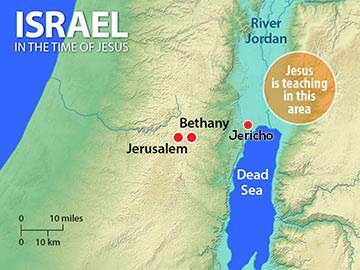 Jesus was quite a distance away from the family home of Mary, Martha and Lazarus when He received the message that Lazarus was seriously ill (see map above). The sisters’ plea was that He should come at once and heal their brother of his sickness. 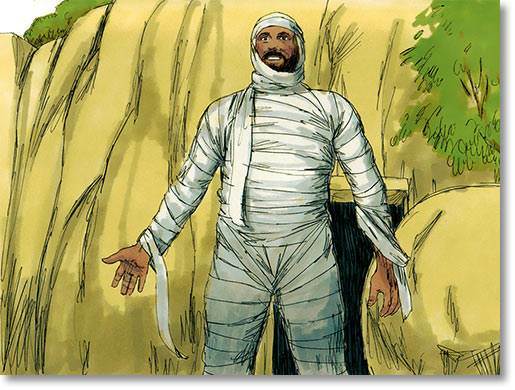 Strangely, the Master decided to postpone His visit and “stayed where He was two more days” (v. 6, NIV). How puzzling this must have been to the two sisters, who expected Jesus to immediately come to their aid. Jesus often did the unexpected, not because He delighted to be different, but because He understood the true nature of every event and sought to bring the greatest glory to God in everything. Have you ever asked the Lord to help you with something and found, as Mary and Martha did, that He failed to immediately respond to your petition? It’s a difficult time, isn’t it? But remember, God’s delays are not His denials. Mary and Martha got their answer, but in a different way than they expected. Someone has described this incident as “the loveliest scene in the whole of the Gospels”. As the shadow of the Cross falls across Jesus’ path, Mary’s sensitive spirit perceives that a deep crisis is near. 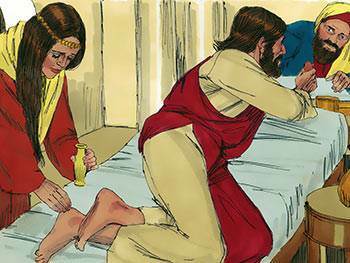 Therefore, as Jesus reclines at table in the house of Simon the leper, Mary brings out an expensive bottle of perfume and pours the whole of the contents over His feet. 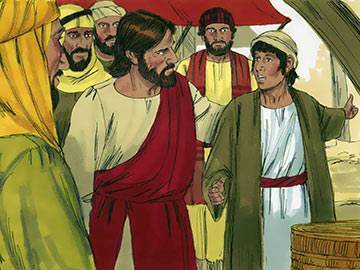 The aroma fills the whole house, but Judas questions the wisdom of her action, calling it an act of extravagance. Jesus defends Mary’s action, however, and sees it as an act of deep devotion which greatly encourages Him as He moves towards the ordeal that lies before Him on the hill of Calvary. One great preacher said of Christ: “God’s Anointed should be our anointed.” He means, of course, that just as God has poured on Him the “oil of gladness above his fellows” (Psalm 45:7), so should we pour upon Him the perfume of our highest adoration and affection. Do as Mary did, and worship Jesus—extravagantly. Martha and Mary seem to belong together—hence the reason why we have not dealt with them separately. 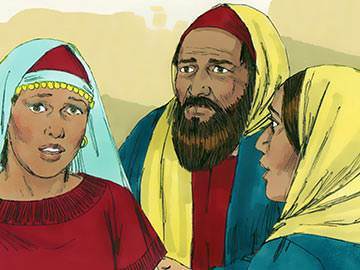 Most people refer to them as “Mary and Martha”, but it seems that Jesus placed Martha first, then Mary, then Lazarus. The two sisters were of opposite temperaments—Martha the practical one, and Mary the devotional one. Martha loved to do things; Mary just loved to be. The happy person is the one who has both of these characteristics—practicality and devotion—but with devotion slightly in the ascendancy: “Mary has chosen what is better” (Luke 10:42, NIV). Perhaps Scripture links these two women closely together so that we might have a glimpse of the value of both temperaments (for each is valid in its own right); but, at the same time, it subtly suggests the desirability of allowing God to fuse into us by His Spirit both characteristics: practicality and devotion.